The video shows some options that players have when they take their racket back as part of their serve. The abbreviated serve worked great for me. I only just started trying it today but it was far easier for me to get the idea of than the full back swing. No shoulder pain at all like some other youtube comments mentioned. Better power than I have ever had and I just need to work on consistency and accuracy. Thanks for this Video. It made it very clear how to execute this serve. Really enjoyed the backswing video. As a double shoulder replacement player and coach, the journey to my current backswing has been a challenge. 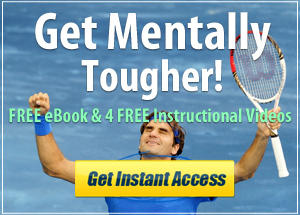 I do agree that Andy Roddick has the most abbreviated of backswings but prefer using Tomas Berdych as the classic example of the modified swing that lives about halfway between the classic, old school “back and low” take back of a Roger Federer and the tuck behind the ear approach of an Andy Roddick. Excellent!!! I am also teaching the abbreviated back swing to my students. Mostly to the ones who seem to have trouble with all the moving parts of a full back swing. I played basketball for a coach that employed the K.I.S.S OFFENSE keep it simple stupid!!!. It occurred to me sometime ago that this was applicable to many things in sport. I have gone to the shorter back swing as a 65 yo super senior for my game. I find that with increasing physical limitations with age this allows me to get to the positions in the serve motion.After watching film of some of the best seniors in the world many use the shorter back swing. I have a traditional serving motion, but too often the “scarecrow” appears. I am going to try the abbreviated motion in my tennis session tomorrow. Thanks! Thank you very much! Very clear and visual explanation. Will put this in practice tonight. Good pointers Jorge! I love the quarterback analogy! Choosing what feels right or what will give the best serve? If what feels right doesn’t give you all the ingredients of an effective serve then you should consider learning an alternative. 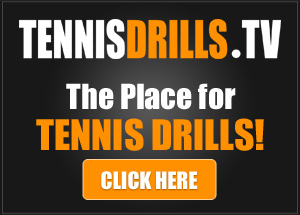 The serve needs consistency, placement(depth, left/right/center), power and spin. Each one comes as your game and competition grows.